The restaurant's name is a contraction of the French delicatesse, meaning 'delicacy' or 'thoughtfulness' -- it's also used across France as a colloquial term for charcuterie. And while the iconic pâtés, terrines, rillettes and saucisses of his homeland are central to the menu, Chef Raphael also features a broad and finessed take on French classics, with meats and fish prepared on the wood-fired hearth that anchors the kitchen and lighter fare inspired by near-daily trips to LA's outstanding Farmers Markets. Tesse's menu is designed with wine in mind. The food pairs beautifully with a vast, interactive wine program designed by Jordan Ogron, which features nearly thirty wines by the glass and a list of more than three thousand selections. For those who prefer something a bit stronger, the craft cocktail program was designed by Nick Meyer and Julian Cox, the duo behind many of the most notable bar programs in Los Angeles. Born and raised in Belgium and France, Raphael Francois studied hotel management and culinary arts, ultimately earning his Culinary Certificate. He began his professional career in the late 90’s working at several acclaimed restaurants in Brussels, notably Le Sea Grill, Comme Chez Soi and La Maison du Boeuf. Eager to expand his culinary horizons, Raphael set his sights on France and held positions in Michelin starred establishments such as the Four Seasons George V and Hôtel de Crillon in Paris. Returning to Paris in early 2006, Raphael worked closely with Hélène Darroze as executive head chef in her eponymous restaurant, Restaurant Hélène Darroze which has 2 Michelin stars, as well her other Paris projects. After several successful years alongside Darroze in Paris, Raphael relocated to London to take the executive chef position at the Connaught Hotel and the fine dining restaurant at the Connaught, which was awarded two Michelin stars in 2011. In 2015 Raphael made the leap across the pond to take the helm of the iconic Le Cirque restaurant in New York, before moving to Washington DC in 2017 to open Le DeSales – his first restaurant as chef partner. Continuing his journey west, Raphael opened his first restaurant in California, Tesse, in West Hollywood in June 2018 . Mueller graduated with honors from both the Culinary and Baking & Pastry Programs at the California Culinary Academy in San Francisco. She returned to her home in Los Angeles, to work with Donald Wressell at The Four Seasons Beverly Hills and from there went on to work at numerous award-winning resorts and fine dining restaurants including The Wynn Las Vegas, Bradley Ogden at Caesars Palace, the Fairmont Turnberry Isle Resort in Florida, the Hotel Bel-Air, the Ritz-Carlton Los Angeles and Jonathan Club. In 2015 she joined as the Culinary Institute of America Greystone in Napa Valley as pastry chef and baker instructor. Sally has successfully competed in numerous national and international competitions. In 2011, she competed against 5 other pastry chefs and won the US national title for Valrhona C3 Competition. The following year, she went on to represent the US at the Valrhona C3 World Competition in Spain during Madrid Fusion where she placed 3rd. To date, this is the highest level any US pastry chef has ever reached in this world competition. That year she also was named “Top 10 National Pastry Chef” by Dessert Professional. Her work has been featured in numerous publications and in 2011 she was a cheftestant on Bravo’s Top Chef: Just Desserts where she came out as a finalist and runner-up. Nick Meyer, born and raised in Los Angeles, has been a bartender since the day he turned 21, but his bartending career really started in Melbourne, Australia in 2009 crafting cocktails at 1806 Cocktail Bar. He moved back home to Los Angeles in 2011 and began working under Julian Cox at Sotto Restaurant as the Bar Program Director. After a year of directing the bar at Sotto, Meyer took a promotion to become the Director of Beverage Operations for Sprout Restaurant Group, which oversaw 14 Chef-driven restaurant concepts around Los Angeles, and simultaneously Soigne Group, which is a restaurant and bar consulting firm, run by Cox and Josh Goldman. In Early 2016, Meyer took over as Executive Beverage Director for Cox for Sprout. The creative direction of each individual bar program, staffing and intensive six-week training, cost control, sales goals, and overall operations of each restaurant bar was led by Meyer. Some of the bars/restaurants at which he held critical roles for the bar programs are Otium, Sotto, Picca, Bestia, Rose Café & Restaurant, Barrel and Ashes, Petty Cash Taqueria, Brilliantshine, and The Fiscal Agent. Meyer won two national Cocktail Competitions; one in 2015 for Diplomatico World Tournament, which allowed Meyer to be the sole representative for the United States in an international competition with 28 countries competing in Venezuela. The other in 2016, where he won the National Punch Kings title for Cochon555 in Aspen, CO. Both of these competitions required him to first win a regional competition in Los Angeles to make it to the finals. Meyer was named one of Zagat’s 30 Under 30 in Los Angeles in 2015 for being a “Rockstar Redefining the Industry” for dedication to training new bar talent and successfully operating a network of bars and restaurant bars in LA. Meyer joined forces with Bill Chait again in November 2016, when Chait named him Director of Bar and Beverage Development for his new projects in Los Angeles. Meyer’s focus is to continually innovate bar design, training, operations, cocktails and spirits to achieve exciting and enduring bar programs. 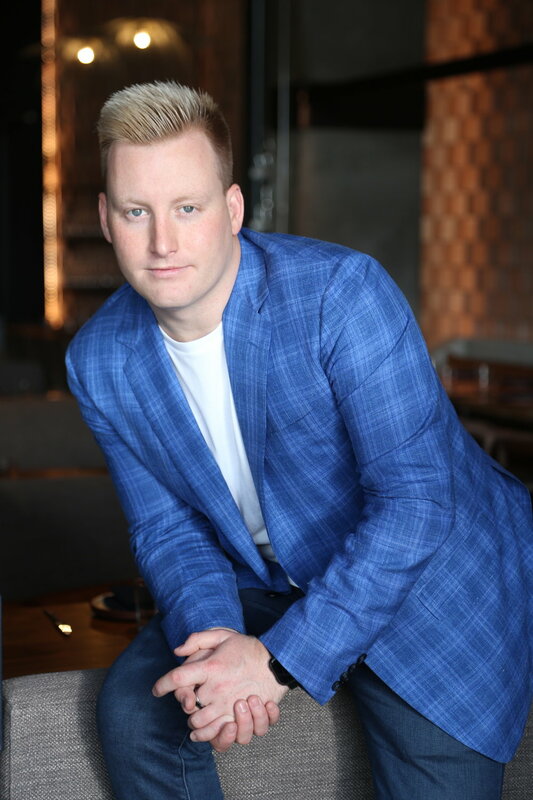 With an esteemed career in hospitality, Jordan Ogron welcomes the opportunity to become a first time owner. Ogron began his career in the restaurant industry serving as the Wine Director for Rivera Restaurant in downtown Los Angeles. He was responsible for co-writing (with M.S. Steven Geddes), overseeing and developing the wine list, which was awarded with a “Two Wine Glass” Wine Spectator Award in 2012. After demonstrating his expertise in this area, Ogron was quickly promoted to Assistant General Manager. In 2009, Ogron was given the opportunity as a consultant to work as both Wine & Beverage Director and Director of Operations for Fraîche Restaurant in Santa Monica. Brought on to reinvent the restaurant’s rustic French and Italian market-fresh approach, Ogron delivered quality-focused results. Ogron created a Pre-prohibition, seasonal cocktail program and wrote a new wine list consisting of over 300 labels. After his tenure at Fraiche Restaurant, Ogron spent three years at Fig & Olive in both New York and Los Angeles, working his way up from Floor Manager to Service Director for Fig & Olive Inc. Ogron also lent his expertise to the beverage program and was involved in all upper management beverage-focused decisions, acting as the Corporate Wine Director for the east and west coasts. In late 2012, Jordan served as General Manager for Bestia DTLA. He moved on from Bestia to become the Director of Food & Beverage at The Standard in Hollywood. 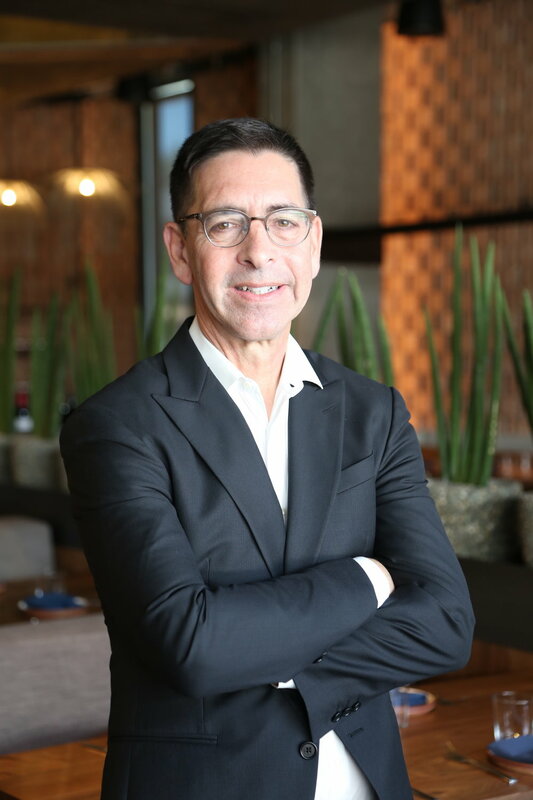 His final tenure was with Hakkasan Group, where he was hired to resurrect a failing restaurant (Hakkasan Beverly Hills) and open a new restaurant (Herringbone Santa Monica) almost simultaneously for the company. Ogron left Hakkasan Group in September of 2016 to pursue his dream of becoming an Owner. That dream becomes a reality with Tesse Restaurant and Boutellier Wines. William (Bill) Chait has been involved in the restaurant industry for more than 30 years during which time he has developed and operated over 20 highly successful restaurant concepts. In 2016, Chait joined the wildly popular Tartine Bakery as a managing partner and investor. Through 2015, Chait operated as the founder and Managing Partner of Sprout LA, he was responsible for the development and the opening of several of Los Angeles' most exciting restaurants, such as Bestia, Petty Cash, Republique, Barrel and Ashes, Otium, Redbird, Sotto, Rivera and the Rose Café and Restaurant. 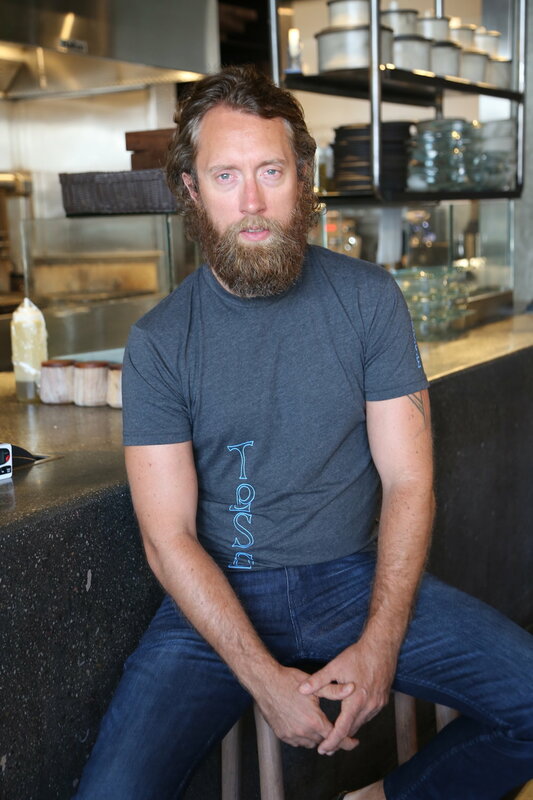 In 2010, he created the nationally acclaimed LA pop-up restaurant Test Kitchen, which pioneered an exciting new concept in dining featuring world renowned guest chefs and budding culinary talent. Tesse is his latest venture.